The new Lenovo ThinkPad P51s (lowest price on Amazon) is a 15.6″ mobile workstation that weighs about 2 kg. That incredible feat is due to its fiberglass-reinforced plastic construction, which is built to MIL-SPEC (military specifications) requirements. This allows it to be used in extreme conditions, whether it’s exposure to sand, high temperature and humidity, or even high vibration and high altitudes. It is also shock-proof. An interesting and useful feature is its Power Bridge Technology, which allows for hot-swappable rear batteries. This means you can swap batteries for virtually unlimited mobile computing on-the-go. 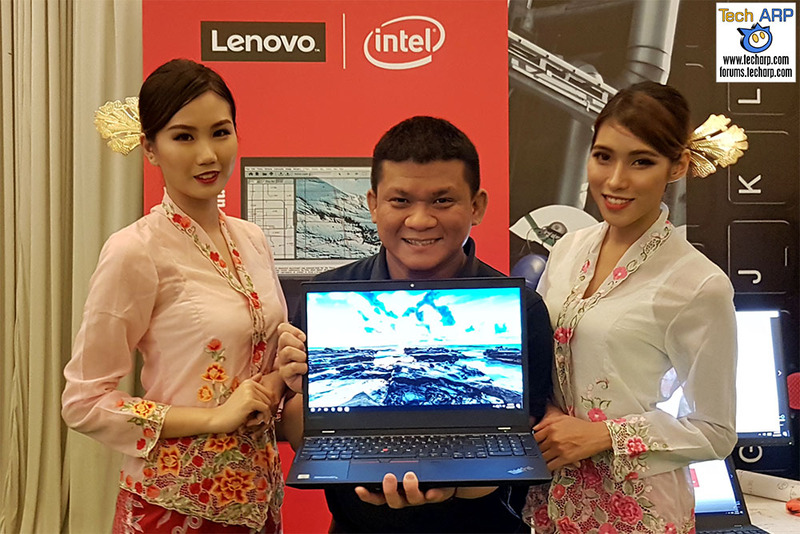 In this video, Lenovo ThinkStation Business Manager, Jason Wong, gives us an in-depth look at its key features. The Lenovo ThinkPad P51s (lowest price on Amazon) is powered by the latest Intel Core i7-7600U (Kaby Lake) dual-core processor, which runs at up to 3.9 GHz and has a 4 MB L2 cache. In addition, it boasts an NVIDIA Quadro M520 GPU with 384 CUDA cores. Lenovo will offer three display options – a full HD IPS display with a resolution of 1920 x 1080 and a maximum brightness of 250 nits (available in non-touch, and touchscreen versions), as well as the top-of-the-line 4K UHD IPS display, with a resolution of 3840 x 2160, and a maximum brightness of 300 nits. The Lenovo ThinkPad P51s (lowest price on Amazon) will be available in mid-July 2017, with a starting price of RM 6,999 / ~US$ 1,666 (inclusive of 6% GST). Previous : The Samsung Experience Store Relaunched At The Gardens Mall! Next : Lenovo Reveals The 2017 ThinkCentre Desktop PCs!